AnnaLisa Meyboom. 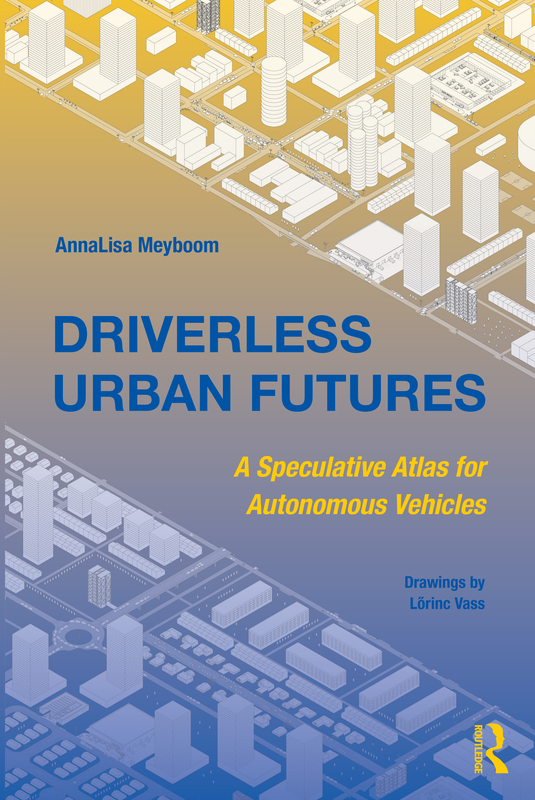 Driverless Urban Futures: A Speculative Atlas for Autonomous Vehicles. Routledge, 2018. Illustrated by Lörinc Vass. Maia, Sara Costa, and Annalisa Meyboom. 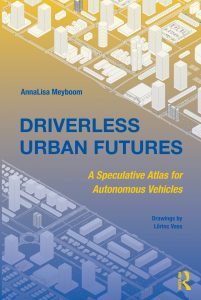 “Understanding the Effects of Autonomous Vehicles on Urban Form.” Road Vehicle Automation 4 (2017): 201. Sara Costa Maia, AnnaLisa Meyboom. “A framework for intelligent persuasive architecture” in Computer-Aided Architectural Design Futures. The Next City – New Technologies and the Future of the Built Environment. 16th International Conference, CAAD Futures 2015, São Paulo, Brazil, July 8-10, 2015. Selected Papers. Editors: Celani, Gabriela, Sperling, David Moreno, Franco, Juarez Moara Santos (Eds.) Springer, 2015. Meyboom, AnnaLisa. “Heavy Design”. International Journal of Architectural Computing, Vol 9 Issue 3, 2011. 251-258. Meyboom, AnnaLisa, Greg Johnson and Jerzy Wojtowitz. “Robostudio: Towards Architectronics”. International Journal of Architectural Computing, Volume 9 Issue 1, 2011. 77-98. Sara Costa Maia* & AnnaLisa Meyboom. ‘Researching Agency in Interactive Architecture.’ ACADIA 2016, Posthuman Frontiers: Data, Designers and Cognitive Machines. Michigan, USA. Oct 27-29 2016. AnnaLisa Meyboom, Oliver Neumann & Thomas Tannert. Extending the Vocabulary of Wood: Research in Large Scale Shell Structures in Wood. Real Time – Extending the Reach of Computation. The Association for Education and Research in Computer Aided Architectural Design in Europe (eCAADe). Vienna, Austria. September 16-18, 2015. Meyboom, AnnaLisa, Annette Bögle & Jose Romo Martin. Geometry and Parametric Modeling in the Conceptual Design of Bridges. International Association of Bridge and Structural Engineers. Geneva, Switzerland. September 23-25, 2015. Ata Sina, Shannon Pitt, AnnaLisa Meyboom, Mark Martinez, James Olson. Thermocatalytic Metafolds: Experiments in the Fabrication of a Composite Paper Polymer Shape Changing Material. ACADIA, Computational Ecologies: Design in the Anthropocene, Cincinnati, USA: October 19-25, 2015. Sara Costa Maia, AnnaLisa Meyboom. “A framework for intelligent persuasive architecture” in Computer-Aided Architectural Design Futures. The Next City – New Technologies and the Future of the Built Environment. 16th International Conference, CAAD Futures 2015, São Paulo, Brazil, July 8-10, 2015. Alexandra Cheng*, Thomas Gaudin, AnnaLisa Meyboom, Oliver Neumann and Thomas Tannert. Large Scale Wood Surface Structures. 3rd Annual International Conference on Architecture and Civil Engineering (ACE 2015) Singapore, 13-14 April, 2015. Reeves, David, Meyboom, AnnaLisa. Stigmergic Space. ACADIA 2013 Adaptive Architecture Conference. Cambridge, Canada, Oct 24-26, 2013. Meyboom, AnnaLisa. Expanding Applications for Responsive Architecture: Applications to the Marginalized Spaces of Seniors, Association of Collegiate Schools of Architecture 101: New Constellations/New Ecologies. San Francisco, USA, Mar 21-24, 2012. Meyboom, AnnaLisa. Tuning Heavy Design: Parametric Structural Form Generation. The 30th International Conference on Education and research in Computer Aided Architectural Design in Europe. Prague, Czech Republic, September 12–14, 2012. Meyboom, AnnaLisa, Wojtowicz, Jerzy and Strzala, Marcin. reCHARGING w/ ROBO. The 30th International Conference on Education and Research in Computer Aided Architectural Design in Europe. Prague, Czech Republic, September 12–14, 2012. Meyboom, AnnaLisa, Architecture of Infrastructures: Methodologies for Expanding a Discipline. 99th ACSA Annual Meeting Conference. Montreal, Canada, March 3-6, 2011. Meyboom, AnnaLisa, Johnson, Greg and Wojtowicz, Jerzy. Urban Infrastructure & Architectronics. eCAADe 2010: Future Cities. Zurich, Switzerland, Sept 15-18, 2010. Meyboom, AnnaLisa, Johnson, Greg and Wojtowicz, Jerzy. Robostudio: Towards Architectronics. CAADRIA 2010: New Frontiers. Hong Kong, April 7-10, 2010. Meyboom, AnnaLisa, Meyboom, Joost and Sutton, Malcolm. Greenway Bridge. 7th International Conference on Short and Medium Span Bridges. Montreal, Canada, Aug 25-27, 2006. “A Graphical Analysis of British Columbia’s Energy Grid in Relation to Electric Vehicle Fleet Loads”. Prepared by TIPSlab for research collaborators, BC Hydro, BC Hydro, Province of BC and National Resources Canada. March 15, 2015. Online at http://www.tipslabubc.com/projects/ecoeii-renewable-energy-to-vehicle-charging. 27 pages. ‘Parkades of the Future.’ Prepared by TIPSlab for UBC Living Lab, December 22, 2014. 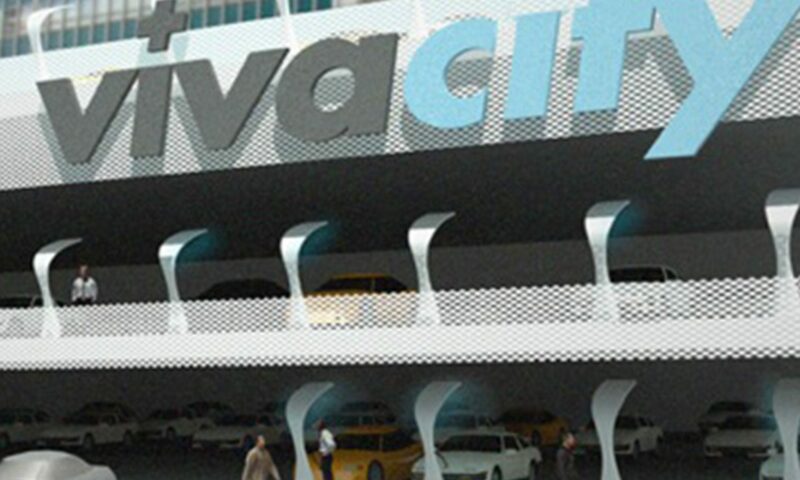 Online at http://www.tipslabubc.com/projects/parkades-of-the-future. 82 pages, illustrated. Persuasive User Interfaces to match Plug-In Electric Vehicle (PEV) charging to renewable availability and off-peak power demand. Prepared by TIPSlab for research collaborators, BC Hydro, BC Hydro, Province of BC and National Resources Canada.. December 2, 2014. Online at http://www.tipslabubc.com/projects/ecoeii-renewable-energy-to-vehicle-charging. 37 pages. Evaluation of Fast Charging Station Locations: Assessment of Conformance to the Station Location Process Guide. Prepared by TIPSlab for BC Hydro, Province of BC and National Resources Canada. April 2014. Evaluation of Level 2 Charging Station Locations: Assessment of Conformance to the Station Location Process Guide. Prepared by TIPSlab for BC Hydro, Province of BC and National Resources Canada. February 2014. Design Guidelines and Standards, BC Public Electric Vehicle Charging Stations. Prepared by TIPSlab for BC Hydro and the Province of BC. August 2013. Online at http://pluginbc.ca/resource/ubc-transportation-infrastructure-public-space-lab-research/) or http://www.tipslabubc.com/projects/design-guidelines-for-provincial-charging-stations). 140 pages, illustrated. UBC Electric Vehicle Charging Network Plan: A Campus Approach. Prepared by TIPSlab for University of British Columbia and the University Neighbourhoods Association. February 2013. 62 pages, illustrated. Electric Vehicle Fast Charging Infrastructure: Deployment Siting and Staging. Prepared by TIPSlab for the Province of British Columbia and BC Hydro. March 2012. View at http://www.tipslabubc.com/projects/ev-charging-stations. 76 pages. EV Fast Charging Planning Framework. Prepared by TIPSlab for the Centre for Energy Advancement and Technical Innovation. Sponsored by BC Hydro, Hydro One Networks Inc. and Manitoba Hydro. November 2011. View at http://www.tipslabubc.com/projects/ev-charging-stations. 197 pages (includes appendices), illustrated.